Seventy percent of mothers with children under 18 work in America, and women make up 47% of the workforce, according to the Department of Labor. However, workplaces often do not have a culture that supports the demands of work and motherhood, says Katherine Goldstein, creator and host of The Double Shift podcast. According to a study by the Pew Research Center, 56% of mothers surveyed said it is “somewhat/very difficult” to balance both work and life responsibilities. This difficulty is compounded by the expectation of what a worker looks like today, Goldstein says. “The idea of the ideal worker is basically a man with no childcare responsibilities, and that’s how we expect people in the workplace to behave, which can have a really negative impact on working mothers.” If women are treated differently from their male counterparts in the office, it leads to a larger systematic problem called anti-mom bias. “Anti-mom bias is discrimination against mothers in the workplace. While it can seem very casual in a way you might not notice, anti-mom bias is actually extremely common,” Goldstein says. In order to identify the signs of anti-mom bias, Goldstein says it’s important to listen to the way mothers are treated and spoken to at work. “Anytime someone talks about someone not being able to do something because they're pregnant or because they're a mom, that's basically a clear sign of bias and often a sign of illegal discrimination,” she says. Anti-mom bias can have a huge economic impact. 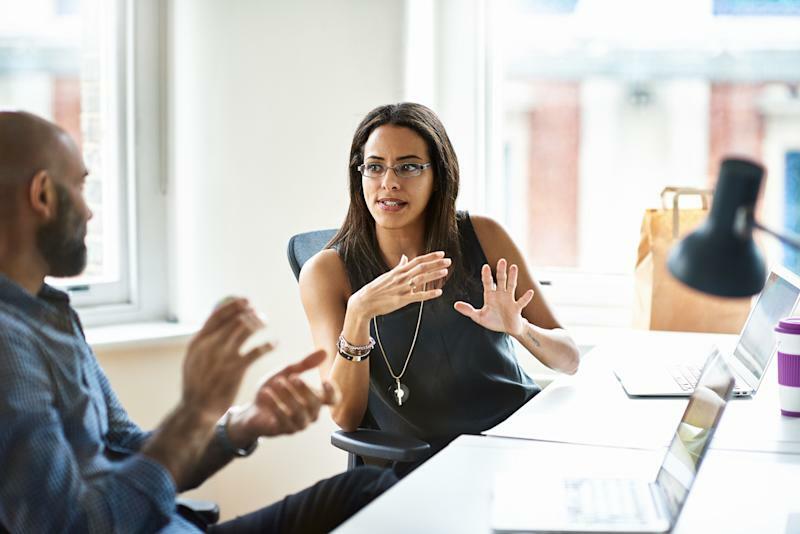 This bias could have a hostile intention behind it, but often the discrimination can come from a coworker or supervisor “helping” a mother by not giving her opportunities to advance. This is called “benevolent discrimination,” Goldstein says. “An example of this would be saying, ‘I don't think we should put her name forward for this promotion, or offer her the opportunity to go to a professional development conference because she has kids at home,’” she says. This can have a huge economic impact. Goldstein says much of the gender pay gap can be attributed to the motherhood bias. “If you're a woman who has a baby between 25 and 35, your earnings are likely to never recover,” she says. A study in the Journal of Sociology found women are 37% less likely to get a job and would be offered a salary $11,000 less than other workers if they show any indication they have children. It’s a different story for fathers at work. “There's no sign of job discrimination against fathers,” Goldstein says. And instead of experiencing a pay gap like mothers do, men receive a 6% increase in wages after having children, according to an analysis by the University of Massachusetts. In order to combat this problem, Goldstein says it’s important for companies to consider that all of their employees have or will have caregiving responsibilities at some point. Goldstein encourages mothers to avoid feeling guilty and instead channel those feelings into something more productive that can foster change. Women are demanding to be heard and represented more than ever, but not all women want the same thing. 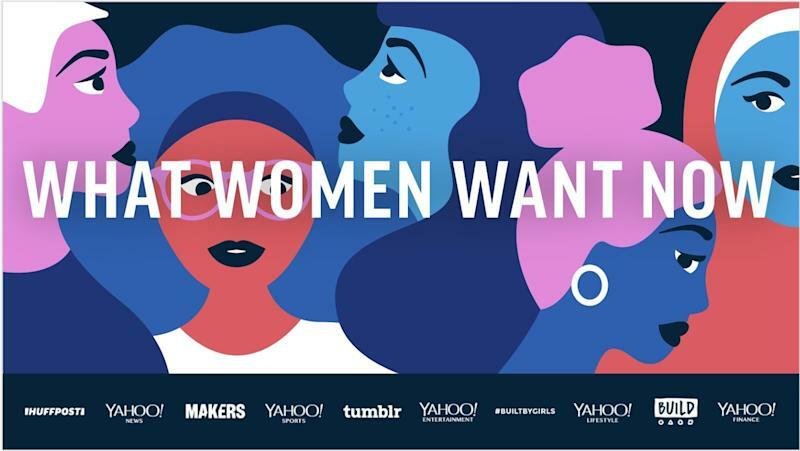 HuffPost, Yahoo, MAKERS and other Verizon Media brands partnered with CARE to poll 1,000 women across America about the future they want and the changes that still need to come. We're dedicated to giving the millions of women in our audience a real voice. #WhatWomenWantNow.